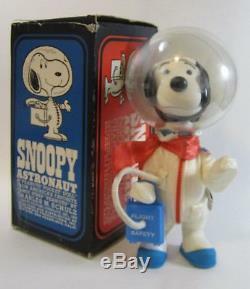 Estate sale find, vintage Snoopy Astronaut figure with original box. 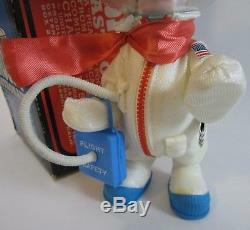 After the Apollo 1 fire, NASA needed to rebuild its devastated Apollo program. 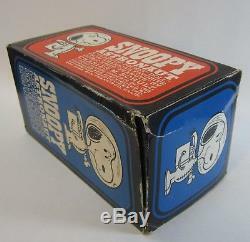 They approached Charles Schulz, creator of Peanuts, for permission to use Snoopy as their mascot for safety. 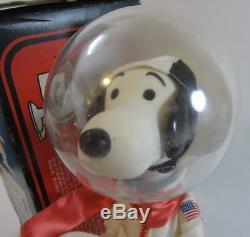 He agreed, and Snoopy set off on safety-conscious mission to the Moon. 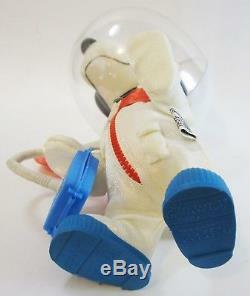 Apollo 10 selected Snoopy as their official mascot, petting his nose for luck before launch. 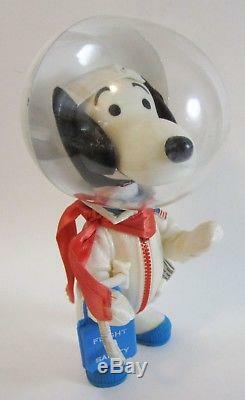 The flight modules took on names of Peanuts characters, with Charlie Brown as the Command Service Module, and Snoopy as the Lunar Module. 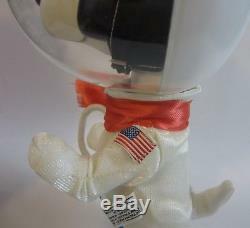 The last image is for reference only and not included in listing: Depicts a similar Snoopy and Charlie Brown supervising Mission Operations Control Room on the first day of the Apollo 10 mission from above Cap-com Charlie Duke's station. PLEASE SEE PHOTOS FOR ADDITIONAL DETAILS. 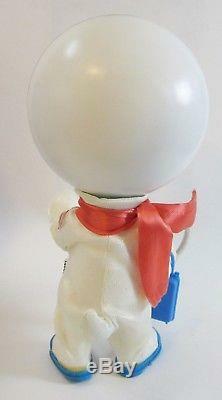 The figure is in Good condition with signs of wear, some discoloration from adhesive near boot, some surface sratches and scuffs on the clear plastic helmet, the box has creases, tears, and soiling, displays nicely, please see images. 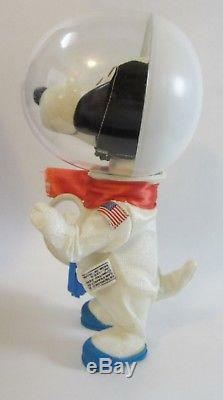 The item "Vintage Peanuts Snoopy Astronaut NASA Apollo 10 Safety Mascot Original Box 1969" is in sale since Wednesday, September 5, 2018. 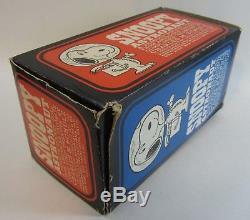 This item is in the category "Collectibles\Animation Art & Characters\Animation Characters\Peanuts\Other Peanuts". 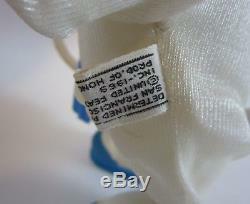 The seller is "e*flea" and is located in Bakersfield, California.